This is a very nice brass/goldtone scrolled name plate with sticky back for easy application. It is approximately 3"L x 1.2"H in size. Click on the tiny print below the photo of the name plate to view the engraving font listing. 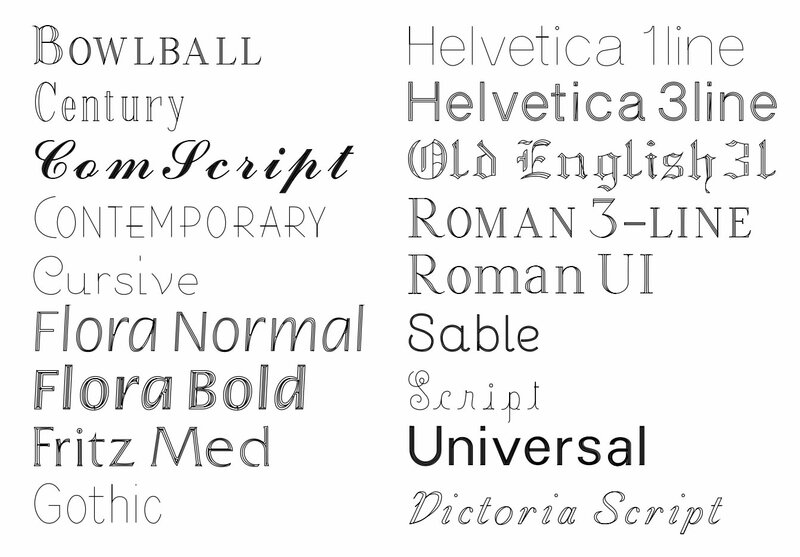 Type your engraving font style selection in the space provided. Please limit engraving to no more than 30 characters/spaces on line 1 and no more than 30 characters/spaces on line 2. The more letters/numbers per line, the smaller the font size will be. Price includes engraving. Please allow 1 business day for engraving before the nameplate ships.